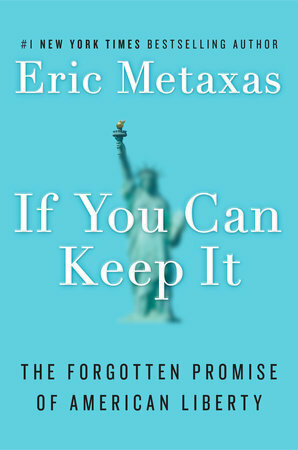 From the #1 New York Times bestselling author Eric Metaxas comes If You Can Keep It, a new book that is part history and part manifesto, steeped in a critical analysis of our founding fathers' original intentions for America. Two hundred and forty years after the Declaration of Independence, it examines how we as a nation are living up to our founders' lofty vision for liberty and justice. If You Can Keep It is at once a thrilling review of America's uniqueness, and a sobering reminder that America's greatness cannot continue unless we truly understand what our founding fathers meant for us to be. The book includes a stirring call-to-action for every American to understand the ideals behind the "noble experiment in ordered liberty" that is America. It also paints a vivid picture of the tremendous fragility of that experiment and explains why that fragility has been dangerously forgotten—and in doing so it lays out our own responsibility to live those ideals and carry on those freedoms. Metaxas believes America is not a nation bounded by ethnic identity or geography, but rather by a radical and unprecedented idea, based upon liberty and freedom. It's time to reconnect to that idea before America loses the very foundation for what made it exceptional in the first place.